When you see the word "critical" in any of your academic tasks, your hearts starts beating much faster. The great thing about critical essays is that you can express your opinions about the reading in any way suitable. However, you must be ready to provide solid evidence to persuade your audience that your viewpoint is objective and evidence-based. No criticism is acceptable without justification, and this is one of the main difficulties facing students in critical essay writing. A conclusion the author makes based on facts and evidence. An evaluation of the author's argument against the values and principles promoted in the text. When you are done with this brief analysis, it is time to stop and see if you have done everything right. Make sure that you have used your class notes and lectures to evaluate the text. Check if you have incorporated enough evidence to support your claims. Now you can begin writing your critical essay. You should start with a draft. Here you will need to do a review of literature to see how other critics evaluated the same text and what issues they found in it. Think of how many different positions and opinions you can locate among authors. If you find any conflicting opinions, this is the right place to outline and analyze them. Once you have a clear picture of literature and various perspectives on the problem, you can decide on your own position and seek evidence to support your claims. At the end, you will need to produce a thesis statement which specifies your position and sets a context for the rest of your critical essay. State your position briefly and concisely. Justify the importance of the problem you want to discuss. Raise new questions and propose ideas for future studies. Tell your readers what questions they will be able to answer once they read your critical essay. Review the initial draft. Check if you have made any errors. Make sure that the text does not have any typos. At this stage of critical essay writing, your task is to present and frame the general idea of your paper. 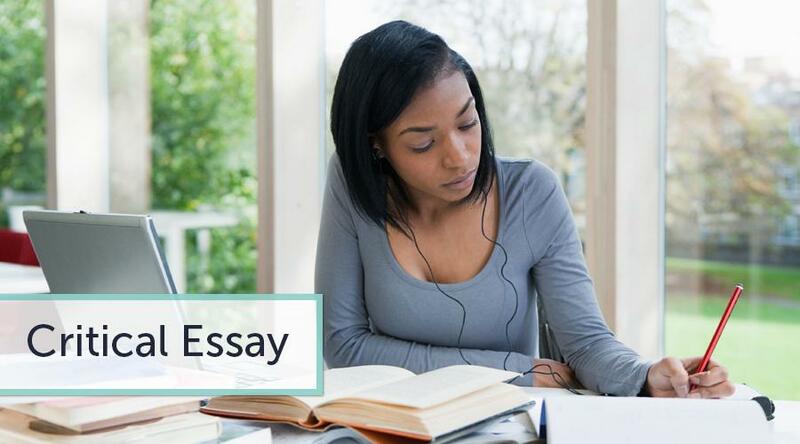 To make a good critical essay writing, you should follow several steps.That is why we provide you with a guide on how to write a critical essay step by step. In essence, you are to write a critique of some movie, article, play, piece of music, etc. Thus, you will either have to critique an object required by your professor or choose a subject for your good critical essay on your own. Whatever you choose, make sure you have complete knowledge of the subject matter. 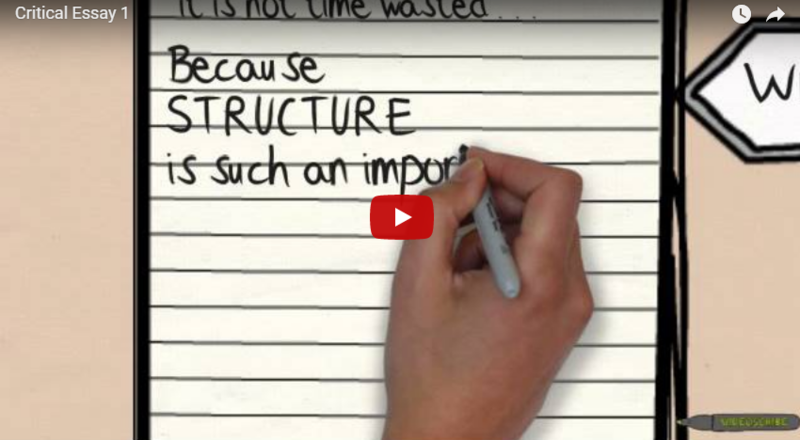 Your critical lens essay must necessarily incorporate rich evidence from outside sources. Search for books, journal articles, websites and other credible online materials to support your argument. Use only relevant sources that can be trusted. Make notes and use them to develop a thesis. Take a position and defend it in your paper. The body of your critical analysis paper must include at least three paragraphs. Discuss one point per paragraph. Start each paragraph with a topic sentence. Then, write a critical essay conclusion, a paragraphto summarize the contents of your work. Finally, develop an introduction only after your paper is completed. Read the finished paper more than once to correct errors and avoid confusions. In your critical analysis essay, develop a strong argument and support it with references. Use as much evidence as you can find to sound more compelling. You must prove to your teacher that your critical essay is based on a thorough understanding of the subject. This is why you should use rich quotes, which are properly referenced and cited. Be accurate in your descriptions of the chosen text or piece. Focus on your argument and do not deviate from the topic. Do not confuse critique with negative criticism. Be logical and consistent in your judgments. Prove that your position is grounded and balanced. You do not have to be negative to reach the target audience. Your task is to see the object of your criticism from different perspectives, positive and negative. Do not forget to cite the materials you borrow from external sources. Welcome and refute any opposing arguments. One of the things you do not need to do in writing a critical essay is making claims without supporting them with evidence. You should not write your paper as a stream of consciousness. Your task is to be logical. Avoid using any new material in your concluding statements. Do not be excessively negative or extremely positive. Use formal language and avoid colloquialisms. Remember that the quality of your writing is as important as the contents of your paper. Even if you frame your argument in an excellent manner, do not forget that poor grammar and structure will distort even the most promising message, making it irrelevant to your reader. A perfect critical essay is a piece of informative essay writing. It should not be emotional. Put your emotions aside and focus on the factual side of the study. Imagine that you are a critical literary analyst, and your task is to highlight strengths and weaknesses rather than cry and whine about the tragic events described in the text. Facts and feelings are not the same. You do not need to follow your feelings or think of your values and beliefs while writing the text. These are secondary to the facts you draw from the text. You do not need to empathize or sympathize with the author. Your task is to be impartial, and you can accomplish it. A critical essay is not about criticism. You do not need to say all the negatives you have in mind about the text. Rather, you must be balanced evaluating the strong and weak sides of the author's argument. You are providing a new perspective on the text, something your audience did not know before you. A critical literature essay must be written in an objective and restrained tone. Only in very rare cases, you can refer to humor, but it is an exception rather than a rule. To write a brilliant critical essay, follow the claims-evidence pattern: make a claim and provide evidence to support it. For example, if you want to say that Ann Rand's book exposes the hypocrisy of the world, you must be ready to take evidence from her texts to prove the correctness of your claims. In fact, the best you can do while working on your critical essay is using evidence from the text you are analyzing. This is your main source of proofs. Likewise, you can draw your evidence from other critical works. You can find a large body of critical literature in scholarly databases. Sometimes, you may find the works of the critics who live side by side with the author of the text. Such critical works can add a lively touch to your own critical remarks. However, do not limit your critical essay to what others have said about your text. In case of any difficulties, buy critical essay help from advanced professionals. Actually, you can always look at what other critics have said about the text and evaluate the extent to which their claims reflect the truth. Then you may want to argue your own position and provide evidence to support it. You should not be omnipotent in your striving to write an exclusive critical essay. Do not follow a topic that is either too broad or too narrow to make an impression on your audience. Do not try to say everything you think about the text. Focus on some distinct aspect of the work and critique it. Organize your discussion properly. Do not confuse your readers. Your evaluation should incorporate several paragraphs, each being devoted to a single point or theme in your discussion. Use transition sentences to connect your paragraphs into a logical and cohesive discussion. Do not forget to keep a formal and impartial tone throughout writing. Remember that in most cases you want to keep your tone serious and objective. Check your text to correct all errors and typos. Every time you summarize or quote the original text, you must include an in-text reference according to the format and style requested by your professor. It can be MLA, APA or anything else. Include a properly formatted reference list or works cited page at the end of your paper. Please review the personal information you have provided. All contact details must be accurate, relevant, and precise. We must know that we can contact you at any time for clarifications or questions. We will need your phone number and email to keep in touch with you. Please review that you have submitted all instructions and requirements for your critical essay order. Remember that our writers will have only the information you provide in your order form. Therefore, it is vitally important that you provide all instructions and recommendations at once. You will define the urgency of your task, which will be calculated from the moment you complete the payment. We will assign a writer to work on your paper after your payment is submitted. If you find the critical essay written by our professionals to be unsuitable for your academic needs, you will be able to use our money back guarantee. Please refer to our Terms and Conditions for more information. You can always contact our Support Representatives to learn more. We may need to verify your identity after you process your payment. Please do not worry. The fact that we call you does not necessarily mean that something is wrong with your order. On the contrary, we want to avoid any allegations in our relationships with you, and we want to protect you from fraudulent activities online. We must be sure that you are the one who placed the order with us. We want to be sure that you have authorized this purchase on your own to be able to provide all quality guarantees to you. When you buy critical essays from our company, you receive an email confirmation for each and every order. In each confirmation, you will find the most relevant information pertaining to your order, as well as the answers to the most typical questions and our contact details. This confirmation will also provide guidance for you to help you communicate with the writer and upload additional materials. Please review your email notifications regularly. You will receive updates from the support and the writer. You can use our convenient messaging system to communicate with the writer. You can always ask questions and receive prompt answers. Do not worry about anything. You may notice that we are still looking for the best writer to work on your project. However, this is how our system works - competent writers are free to choose the orders they want to work on. It may just take a little more time to find a writer who specializes in your discipline and knows everything about your subject. If it happens that the instructions for your order have changed, please submit them immediately. We will give you a chance to resubmit the original instructions, but only if the writer has not yet started working on your order. We want our customers to enjoy the transparency and flexibility of our process. You are most welcome to update the requirements for your critical essay, so that the writer could have all information needed to produce a great paper. Do not think that something is wrong if you do not receive an immediate response from the writer. Our writers are humans too, and they may not stay all 24 hours in front of their laptops. Besides, your writer may be busy doing research to create a great critical essay. Therefore, rest assured that you will receive an answer from your writer within 24 hours. Check your personal account. You will receive an email notification once your paper is finished and can be downloaded. You will be able to follow the link in your email confirmation and download the paper. You will also be able to receive a copy of your paper to your email account.